Layers for your parfait, a crunchy addition to your cereal, healthy road trip snack. Is there anything granola can’t do? 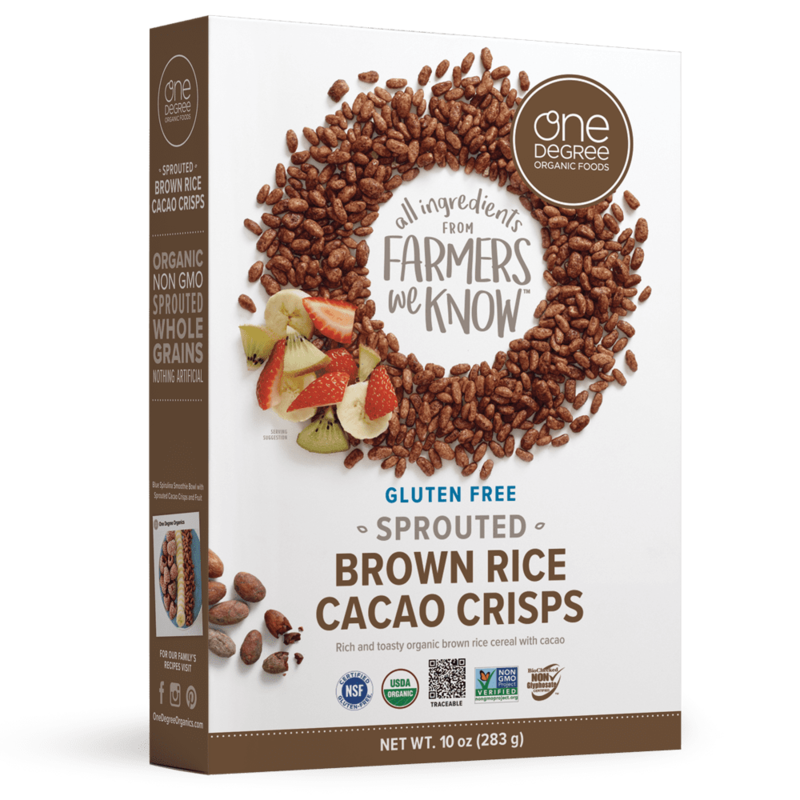 Our One Degree Organics clusters are made with the best clean organic ingredients we could find—and a few other things we think make our granolas extra special. No matter the flavor, our granolas all start with a base of hearty oats, cold-pressed sunflower oil, unrefined mineral salt, cane sugar, and tocopherol (Vitamin E). 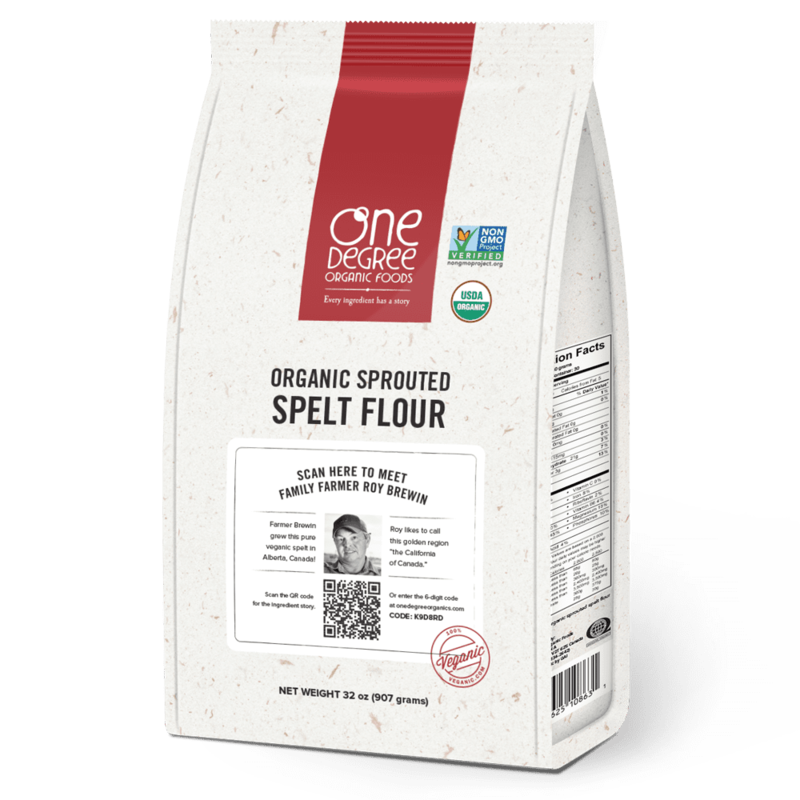 From here we can add spices, grains, seeds, and natural sweeteners to create a delicious blend for your breakfasts, baking, and more. 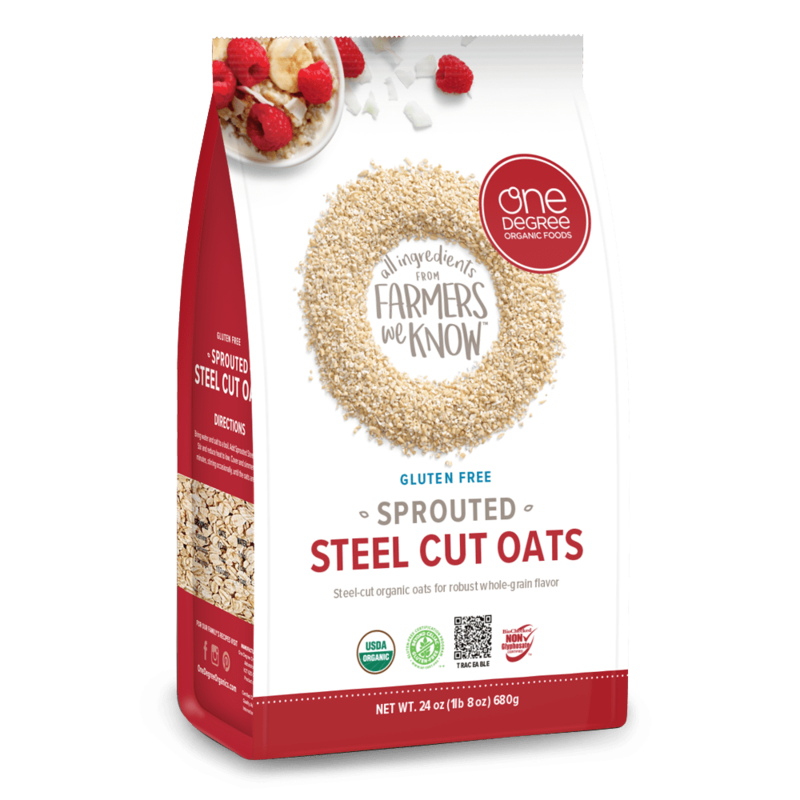 Oats: We source our organic oats from River’s Edge Organic Farm in Barrhead, Alberta. There, farmers Eldon and Brad Kebernik oversee fields of golden oat stalks and are passionate advocates for organic farming. Sunflower Oil: In Carmen De Areco, Argentina, farmer Roberto Coronel of Petroagro loves harvest season, taking organic sunflower seeds and double-pressing them into high-oleic sunflower oil. Tocopherol (Vitamin E): When it comes to finding a natural antioxidant for our organic foods, Food Ingredient Solutions in Teterboro, New Jersey provides a high-quality tocopherol, aka vitamin E derived from vegetable oils. Cane Sugar: Certified organic cane sugar produced by Cooperativa Manduvira in Arroyos y Esteros, Paraguay yields a sweet harvest while devoting 7 per cent of their land to forest and other crop areas. 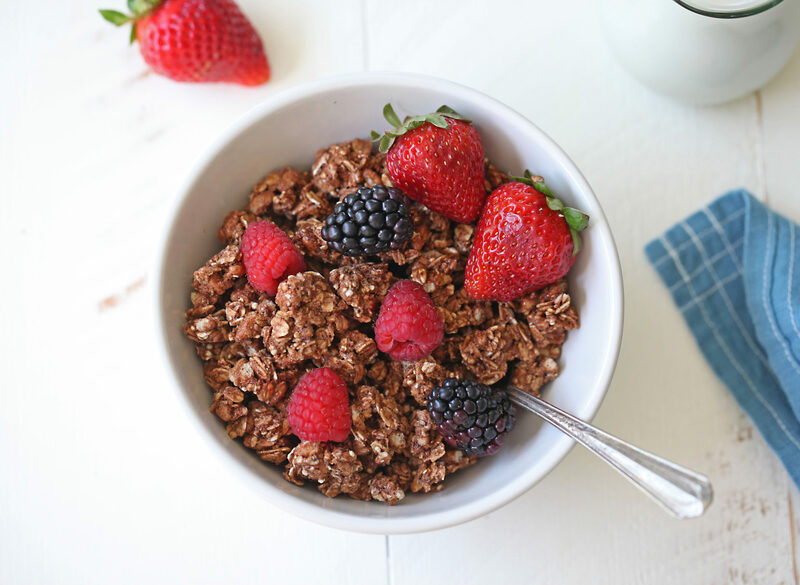 Whether it’s our clean ingredient base or the extra spices (vanilla, cinnamon), grains (quinoa, brown rice), seeds (sunflower, chia), and healthy sweeteners (brown rice syrup) we add to our granolas, every single ingredient can be traced back to the grower or producer. This idea of food transparency is our way of creating a ripple effect in the food industry that we hope will result in more organic, non-GMO, glyphosate-free plant-based foods. Read more about our commitment to total food transparency here. Many of the famers who grow our ingredients are part of farming co-operatives. These co-ops help to champion their members, ensure their harvests garner a good price at market, and help create stability in local communities as well as support to farmers’ families. Cooperativa Manduvira is connected to our cane sugar and molasses farmers, Cooperativa Machupicchu works with our amaranth and quinoa producers, and Acopagro Cooperative works with our cacao producer, Tradin Organics. 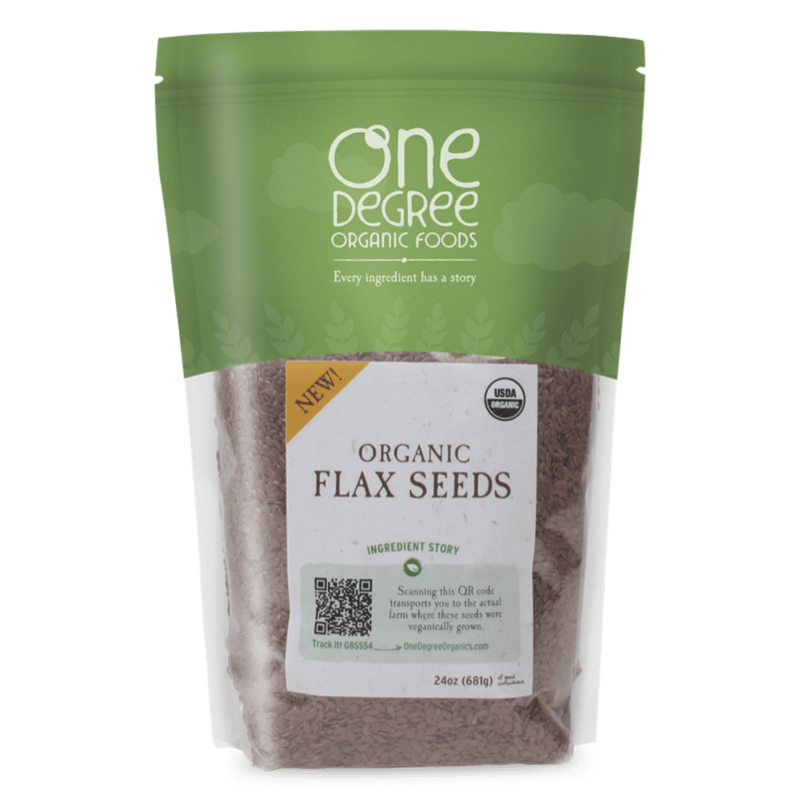 The idea for One Degree Organic Foods was fittingly born around our dinner table, in the thick of a family conversation about how great it would be if we could connect people eating at home to the organic farmers who grew the ingredients in their food. Our family’s love of plant-based food and a strong belief that everyone has a right to know what goes into their food and where it came from leads everything we do. Ready to meet all the farmers behind your granola ingredients? View our trip videos here. 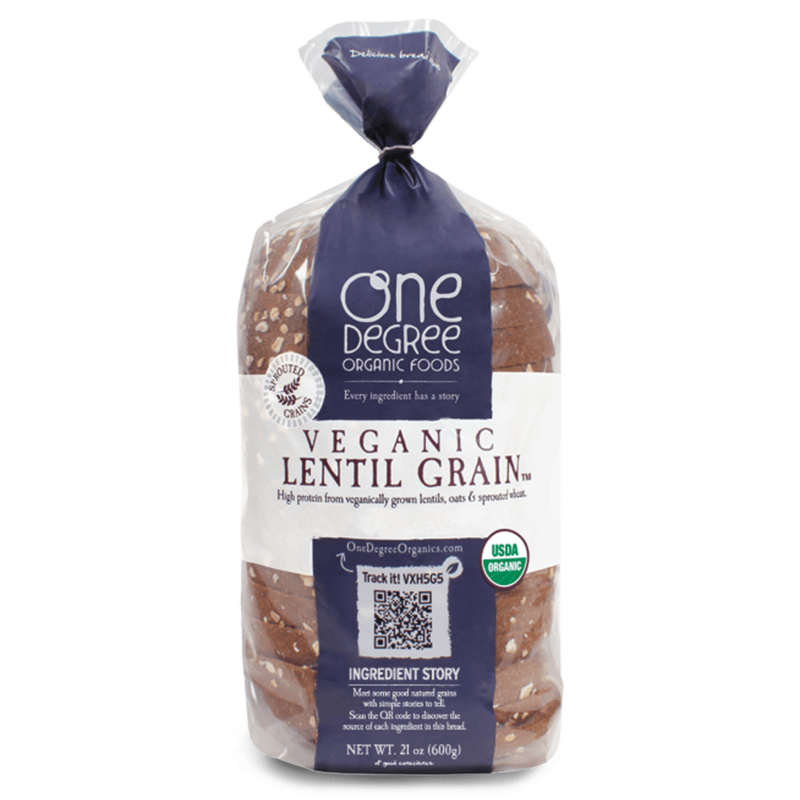 Find a store near you to pick up some delicious One Degree Organics food.